New Desktop options from Intuit! Intuit has just released the new editions of QuickBooks Accountant 2017 for Desktop and you can now get it within the new ProAdvisor Deluxe for $349.00 per year. Your membership includes 24/7 U.S.-based support, Training and Certification with CPE credits, and Find-a-ProAdvisor Directory Listings. You’ll also be able to download your order so no waiting for the disks to arrive in the mail. 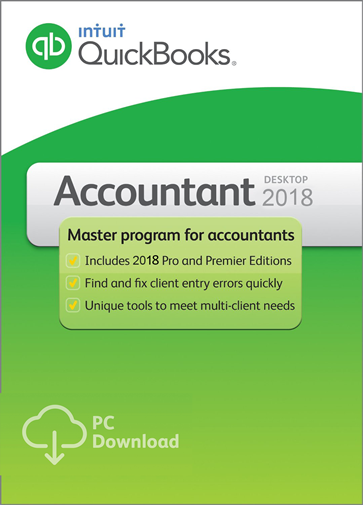 If you just need need Accountant 2018 without ProAdvisor then you’ll have to call Intuit directly to order a copy. See Intuit.com for full pricing details. If you’re tired of upgrading every year to the latest version then you may want to consider the new subscription options also available. You can choose from one and 3 user plans starting at $49.99/month. With your valid subscription, you’ll automatically get all upgrades for free and flexible monthly pricing so you won’t need to buy the entire license pack upfront (plus it comes out to be much cheaper than buying the upgrade every year). If you need several licenses of QuickBooks Accountant for your small business, then you can consider purchasing the 3 user pack that is on sale at Amazon.com (note: sale prices may vary). Available in both the download edition (436 MB in size which an average takes 10 minutes to download online) or the boxed version that includes the CD disk. No extra discount codes are needed to get this price, but just note that prices can change without notice and may expire sooner if inventory runs out. When it says that it’s “shipped and sold” by Amazon then be assured that you’re getting the full warranty as they are an authorized Intuit partner and distributor, as well as one of the few partners authorized to sell the digital download versions. Offers and discounts my vary and expire without notice. If you’re looking to switch from a different accounting software program, like Sage, or if you are looking for a new accounting software solution for your young business, then be sure to take advantage of QuickBook’s free trials. You’ll have a full 30 days to try out any of the four solutions available – Just select the one that most closely matching the features that you need in running your books. Must be a new QuickBooks user. How do instant coupons work for Intuit.com? 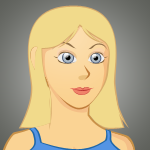 You’ll notice that we often have several types of offers typically listed here Software Voucher. Some for Accountant 2018 will require you to enter a physical code at checkout while others are an instant promo. What’s an instant promo you ask? Well, these are deals offered to us directly from the manufacturer that automatically apply the discount when used. In short, Intuit knows that you came form SoftwareVoucher.com and applies the offer exclusively just for you. We're watching all of the latest news and rumors for the upcoming QuickBooks 2020 release. Expect to see QuickBooks Accountant 2020 announced in early-September, 2019! Unfortunately, no free trials are available on QuickBooks Accountant. We encourage you to take advantage of Intuit's generous 60-day return policy if you want to test out the latest version or are not satisfied with the updated features. If you find a deal that simply is not working as it should, then please report it to us with any details you an provide. We'll do our best to help you figure out what happened or find you a similar (or maybe even better) deal. Please note that the manufacturers and distributors have full control over sale pricing and may choose to expire any offer or promotion at any time without notification to us. We check this page daily for validity, but can't be responsible for any errors listed on Software Voucher. Thanks for your understanding and support!